Community Involvement - Frederick Air, Inc.
Frederick Air is actively involved in the local community. Whether it’s donating to a local organization or giving our time, we love to give back and it really shows! Frederick Air received the Family-Friendly Award for 2007. This award recognizes businesses dedicated to increasing the number of children who receive quality supervision in early childhood. The program’s basic tenet is that these children will be better prepared for school and future academic success. Winners are chosen based on family-friendly criteria determined by the Office for Children and Family. For employees and their children, Steve Schmidt, owner of Frederick Air, believes an award recognizing people who create a family-friendly environment is a positive thing. Frederick Air actively supports the Heartly House. Heartly House has worked for more than 28 years to end domestic violence in Frederick County. With a full spectrum of services including a 24 hour hotline, emergency shelter, counseling, legal assistance and transitional housing, Heartly House helps victims of domestic violence, sexual assault and child abuse regain control and build a safe, healthy future for themselves and their families. Frederick Community College Foundation Inc., Board – Steve Schmidt has served on the Frederick Community College Foundation Inc. Board since 2007. The mission of the FCC Foundation, Inc. is to support the College through private fundraising. The Foundation manages the College’s annual fund program, grants writing efforts, and partnerships with alumni, community individuals, and businesses that support FCC students and programs. The Foundation’s volunteer Board of Directors oversees the College’s philanthropic work, connecting FCC’s needs with people in the community who want to provide educational opportunity. The Foundation members are committed to growing the College’s endowment to increase funding for scholarships, program support, book grants, and employee innovation grants. Construction Trades Advisory Committee – Steve Schmidt has served on the Construction Trades Advisory Committee at FCC since 2005. The Construction Management and Building Trades Institute include a series of programs that allow you to begin or continue a career in the construction and building trades industry. The Institute provides opportunities to learn a skilled trade to enter the workforce, learn special skills to advance your career, or prepare for management positions in the construction industry. 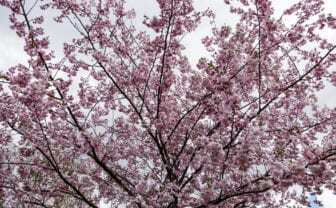 Both credit and continuing education programs are offered, with some credit programs designed to transfer to the University of Maryland, Eastern Shore. 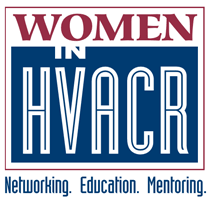 The HVAC program is one of the many programs offered by FCC. 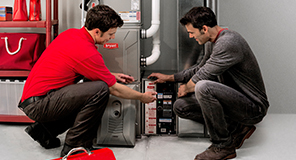 This program prepares you for a career in residential HVAC. 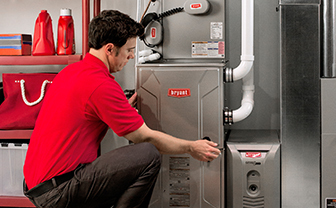 As a residential HVAC Technician, you will install, maintain service and repair HVACR equipment that provides indoor comfort and essential cooling processes in the home. 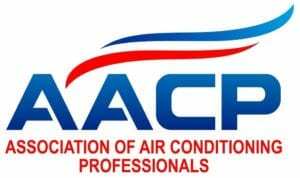 Currently, Sonny Garcia, a Frederick Air staff member, is an instructor in the HVAC program. Career and Technology Center Advisory Council – Steve Schmidt has served on the FCPS and FCC Career and Technology Center Advisory Council since 2004. Steve was Chairman of the council from 2006 to 2016. Career and Technology Education, benefits from the continuous and active participation and support of the business community, local government agencies, community groups, unions, business associations, and the community at large. The Career and Technology Education Advisory Council and individual Program Advisory Committees are established to provide the framework for this essential connection between education and the community. 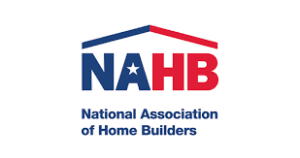 National Association of Home Builders was founded in 1942. About one-third of NAHB 235,000 members are home builders and or remodelers. The remaining members are associates who serve in the building field in the capacity of mortgage finance, building products or service. NABH focuses on balanced national legislative, regulatory, and judicial public policy. They are the premier resource for industry information, education, research and technical expertise.